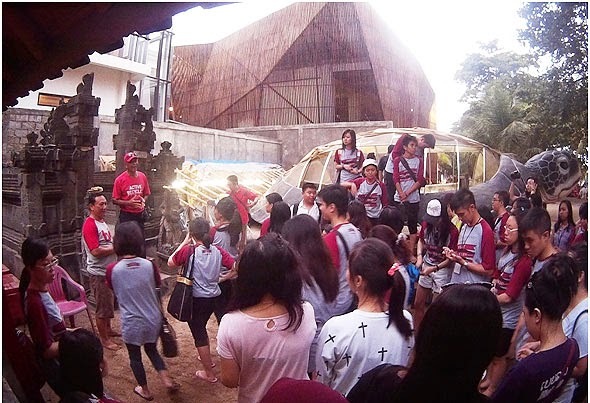 On 24 June 2014, 120 university students from Ma Chung University Malang East Java visited the BSTS project in Kuta beach. The visit was part of the students study tour in Bali island, although they are students of Accounting Faculty, they are interested to take part in protecting animals especially turtles. There was an interesting discussion between the BSTS team and the students regarding turtle protection and there was a positive response from the students regarding BSTS activities. They promised to help BSTS in spreading information regarding turtle protection through social media and also stickers that were distributed by the BSTS team. Several students planned to visit the project again in the peak of turtle season in Bali, especially in Kuta beach.